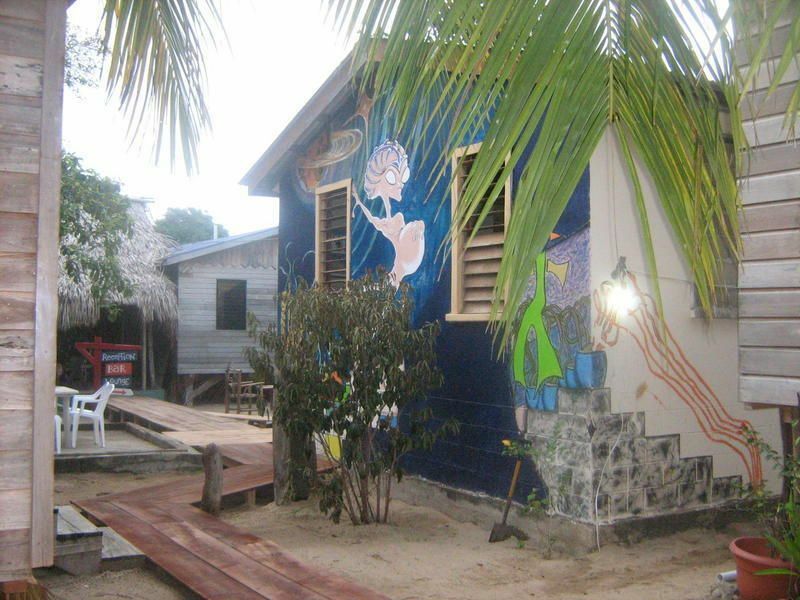 The Funky Dodo Backpackers Hostel is located right in center of the original Garifuna village of Hopkins on the Caribbean coast of Belize. 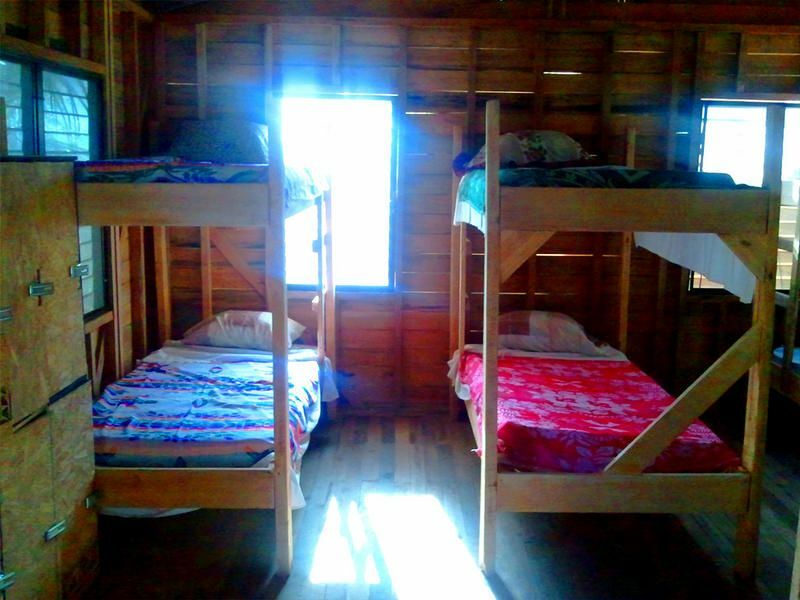 Perfect for people backpacking and people on shorter trips, we offer comfortable budget accommodation in the spacious 14 bed dormitory in full size single bunk beds, Private twin or double rooms We have a guest bar with backpackers prices, lockers, free Wi-Fi, free drinking water, shaded outdoor chill out area with hammocks, well equipped kitchen free of use, indoor lounge with comfy sofas and movie watching facilities, new clean bathrooms a transport service and a laundry service.We are here to help and we will make sure you know where you are going and you know how to get there and that you are fully aware of all the things to see in and around the village.The Hostel always has a good atmosphere, a wide range of music and fun people to meet and folk have good things to say about the place. We now have a bar that sells booze at backpacker prices.If you are backpacking or on holiday in Belize or traveling through Latin America take some time to checkout Hopkins for water sports, wild life and nature reserves and true Garifuna culture.Within a 30 second walk from the hostel there is The King Casava bar and restaurant, internet cafe, cafes, the beach, and a supermarket. A 5 minute walk will take you to several more bars, restaurants and shops. 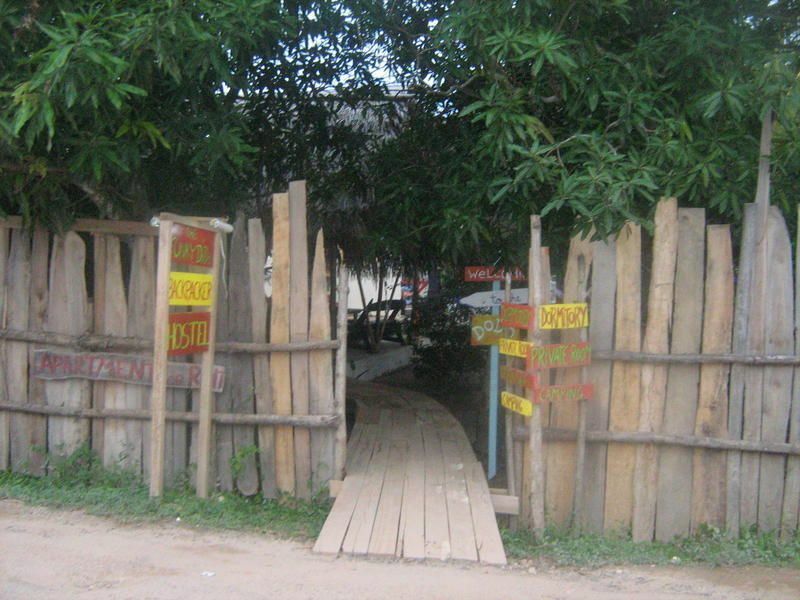 If you are in the village already turn right at King Cassava Bar and head south, The hostel has a wooden fence and a terrace thatched roof. If you have reached the Happy supermarket you have gone too far. We are one lot back from the beach. (you cant miss us, we have loads of signs up everywhere. )Local Public transportLocal busses run from from Dangriga 40 minutes and Punta Gorda 3 hours away. When coming from The south (Punta Gorda, Independance, Placencia etc) the bus can drop you off at the junction at the end of the Hopkins road. From there it is 4 miles to the village. It is easy to hitch a ride in a passing vehicle or wait at the junction for the bus from Dangriga to Hopkins that will collect you. Buses leave Dangriga at 10:00 am and 5:00pmNational and international public transportGetting from Mexico to Belize:You can get a direct bus to Belize city from Cancun, Playa del carmen, Tulum and Chetumal to get to Belize from Mexico with ADO bus lines (no need to book) and from there a local bus to Dangriga which run throughout the day from 5 am till 8 pm. To get from Dangriga to Hopkins there is a bus that leaves at 10:00 am and 5:00pm from the bus terminal on the south side of town.Coming to Belize from Guatemala by land you will come to Flores and cross the border at Benque Viejo where there will be buses or taxis that will take you to the Benque Viejo bus terminal and from there the route is to St Ignacio, then Belmopan, Dangriga and then Hopkins Village buses run all day and it takes no more than 3 hours to reach Dangriga.Getting from Guatemala to Belize by boat:There are boats every day except Sundays from Livingstone and Puerto Barrios to Punta Gorda From Punta Gorda it is a 3 hour bus ride to The Hopkins junction. There are also Boats from Puerto Cortez in Honduras once a week on a Monday morning.One can also fly with a local airline to Dangriga from either Belize city, Orange walk, St Ignacio, Punta gorda, Belmopan, Corazal, St Pedro and Key Calker. Tickets start at around 50 USD.